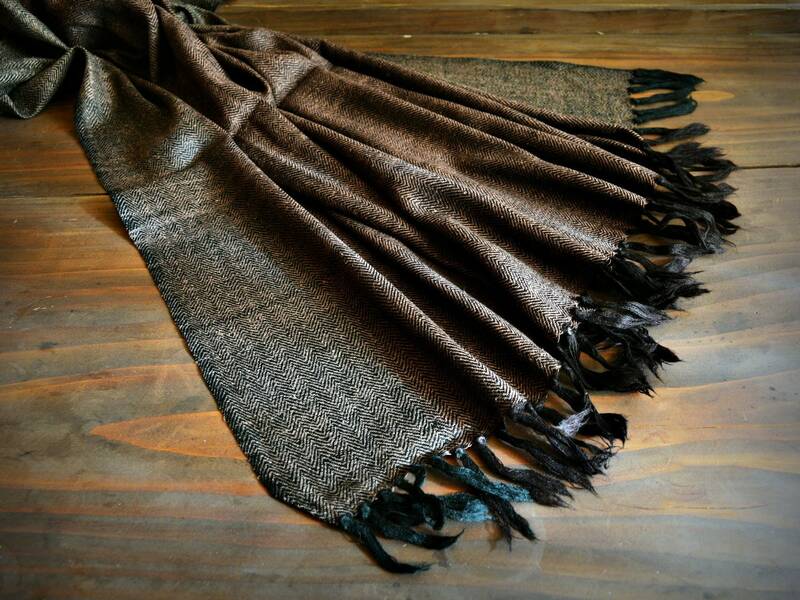 Feel the luxury of silk combined with the warmth and coziness of wool in this beautiful, shawl in beautiful shades of brown color. Handwoven in herringbone twill. Its design is unique and eye-catching: the main, central piece is in two deep shades of brown for warp and weft when the edges are woven in lighter brown for weft and black in warp. 242 cm long with fringes. Colors: lighter, cool brown and darker - deep, warm chocolate brown.